Hello, everybody! 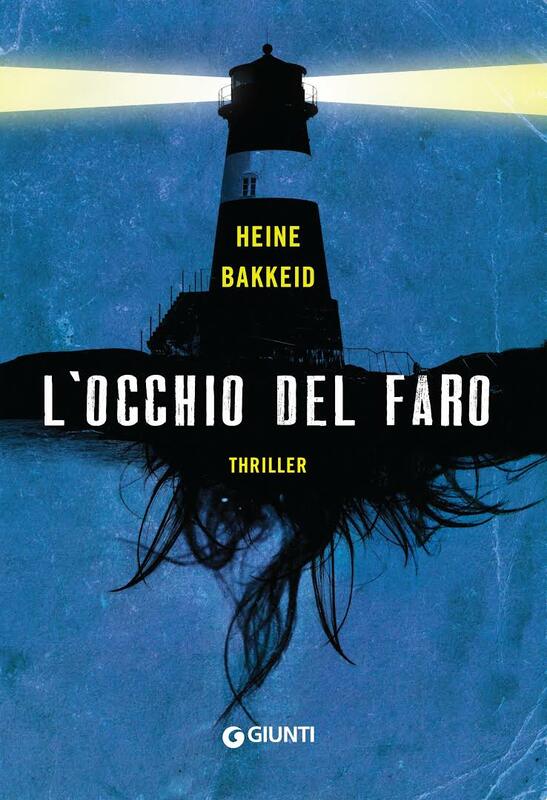 I am just back from Norway, where I flew to interview one of the most successful and promising Scandinavian authors: Heine Bakkeid, whose thriller novel I Will miss you tomorrow has recently gained attention here in Italy too. In this novel a very interesting anti-hero called Thorkild Aske makes his debut. I was sure this was going to be an interesting travel, but I did not imagine how things would have turned out. I can't read the sign, but the address should be correct this time. I really hope this is the right pub, because this cold drizzle that smells of sea is driving me crazy. Norwegians may find this a beautiful evening, but me... If I do not go indoors immediately I will turn into a frozen cod. Here in the North there is the famous midnight sun, isn't it? But now it's February, it's five o'clock in the afternoon and there is no sun: the sky is grey and dark like a Norwegian forest cat. I enter the room and immediately everything turns from grey to dark brown. Dim lights, wood everywhere. An old man wearing a sailor's hat stands at the bar. He turns to the door with a suspicious gaze, then starts chatting to the bartender again. Sitting at one of the tables tucked into the wooden booths is Heine Bakkeid. I recognize him from the picture. He smiles at me and raises, as a greeting, a beer mug. I go and sit down with him, and immediately someone slides another enormous mug of Mack in front of me. HB: Welcome! I have been waiting for a while. In front of me there is a handsome dark-haired man, about forty. I'm sorry I confirmed the usual impression of Italians always being late. GG: I had a trouble with the taxi, I must have mispelled something when I told the address and I was left in the wrong place, so I first visited the wrong pub, and when I finally realized it, I had to walk a long way. HB: No problem, it's a nice evening for a walk. GG (shivering): Yes it is. HB: So, should we start? GG: Ok. Heine Bakkeid, at the moment the only novel of yours that was translated in Itlaian is I Will miss you tomorrow, the first of a series starring Thorkild Aske. All in all we know little about you. Some maybe imagine you living and working alone in an isolated old house, overhanging a perpetually stormy sea... Maybe instead you simply get up every morning, take the children to school, and then go to the office... What kind are you? HB: I wish that I had a secret Research Facility beneath the sea where I could do all my best work, but the fact is, I get up in the morning, put on some coffe, and walk in to my office, sit down, drink coffe and work. Then at midday, I walk, jog or go skiing for about an hour before I return to my office. The only things that really get my attention is my work and familiy. I just don’t care about much else. Sometimes I wish I was more interesting, maybe had a cool hobby like collecting the feathers of dead birds or something, but I just cant find the time or the right motivation. GG: Before moving on to adult thriller, you worked on a series, unfortunately still unpublished in Italy, of horror novels for kids. Do you want to tell us about this, and about the other earlier works of yours? GG: How did you develope the passion for writing, and how did you get to be a writer as a job? HB: so I grew up in a place caught between the mountains and the fjord, with only five houses. In the winter it was completely dark outside, just the sounds of nature and the sea. I read alot of books, and as a result I had quite a vivid imagination, witch ment I was daydreaming alot, but I didnt really think of it as a career until I was studying programming, Java, C++ and that sort of thing. I was soo bored I wanted to kill myself with a blunt instrument, so one day, I couldnt sleep, I said f**k it, and got up, turned on my computer and started writing down the scene that had kept me from getting any sleep that night. The funny thing is that the character I had conjured up from the depths of my subconsiousness that day was no other than Thorkild Aske himself. He was the first character that came to me. But I was still young and decided that I wasn’t going to relase him until I was old enough to understand and write about a man like him. Meanwhile I would just write whatever came to mind, so I continued to write every evening and night, and when I had finished my studies, I had written a whole novel and at the same time finally found out what I wanted to be and do in life, and It wasn’t programming or system development, but writing stories. The novel got published a little over a year later and that was that. Here I am. GG: What are your favorite readings? What were they when you were a child, and then a boy? Which authors, if any, you consider your sources of inspiration? And which ones would you like to inspire in the future? GG: Let’s get back to Thorkild Aske. You have already dedicated a second novel to him, still unpublished in Italy. What kind of relationship do you have with him? HB: As I said, he was the first character that came to me. I have one image that sums up our relationship and that is the two of us, sitting in a bar, back to back, not talking to each other, just hanging out with other people. Then the bar closes, we both get up and walk without ever speaking, out of the bar, up a longs set of stairs to a scruffy appartement, we get into a office where I find my place by the computer and he sinks down in a sofa. He then starts talking while I write. Its like we made this pact (with the devil), where he gets relief from telling his lifes story and letting his demons out and I get to be the writer I always needed to become. It seem like a fair deal. GG: Readers who have already met Thorkild in I Will miss you tomorrow, what should they expect from the subsequent novel? HB: I have this meta project with the Thorkild Aske series. When I was young and read the classical detective stories about the sharp private investigator who solves a mystery, they all begun the same way, the main character sitting at his desk, they had these traits, they were run down, were outsiders, castaways, ostracised from society, alcoholics, yet driven beyond belief in their quest to self harm and solve the case in front of them at any price. I always wondered why they were like this and so I wanted to find out what would make such a man. In the five books about Thorkild Aske I want the readers to be a part of this transformation, this metamorphosis from who he was before, when he was a functioning member of society serving as a interrogation officer in the police and through the pains of becoming the outcast that he is now. So my friend Mr. Aske has a long way to go yet, some ups, and quite a few downs before he (and the readers) get to the end. In the second book, Thorkild Aske is hired by a famous crime fiction writer to help her with research to her last novel witch is about a real life missing persons case. Aske soon learns that the last person who helped her, also a former police officer, was shot dead just outside her apartement while working on the same story ... And … his psychiatrist, Ulf, has taken away all his good pills. GG: Do you have fun when you put Thorkild in dangerous and embarrassing situations? HB: I take no pleasure in Thorkild Askes misfortunes and embarrasing situations. No pleasure at all. I only laugh out of pity! Ah, ah, ah! GG: Do you want to talk about your future projects? HB: No. Not at all. - Excuse me for a moment, I need to go to the bathroom. You know, while I was waiting for you, I already had another beer, this was my second one. - Sssst. I have very little time. I'm Thorkild Aske. - Thorkild Aske. The guy he writes about. I use this as psychotherapy, sort of, and he makes us the money. He just told you, didn’t he? TA: Well? Aren’t you gonna interview me too? TA: I will not tell you anything. TA: Read the books, if you want, and try to understand yourself what is true and what is fantasy. I'm not here for being interviewed by you. TA: I am here to warn you. That man, Bakkeid... Do not trust him. GG: What... What do you mean? TA: Your review of his book: he did not like it. You were kind of rough with him. It made him very angry. I’ve never seen him like that before. TA: You wrote that the main character is unforgettable, yes, you did, but you also wrote that everything else is not very good. The character is me, therefore, it's not his merit, right? And you did not write a word about Heine's straightforward and direct style. TA: Oh, shut up. He hides it, but the review made him sick of anger, I tell you. So don't trust him. Your beer: does it taste strange, maybe? GG: I... I don't know! He reaches for my mug, still half full, but then immediately pulls it back, gets up and disappears behind the booth again. The sound of a creaking door and the steps on the floor announce Heine's return. Shortly after the writer is sitting at his place again. HB: Here I am! Where were we? GG: Usually, how do you write? Do you have any ritual or place or special objects related to your work as a writer? HB: Writing a story for the first time is like dreaming. At first your just there, some place where all the edges are kinda blurry, the facese are skewed, you don’t really know how you got here, and where this is going. I can mostly write anywhere, I just zone out the rest of the world, so that it is just me and the characters there. Im kinda useless to everybody else when I’m in there. Sometimes I listen to music if I’m concentrating on one specific scene. GG: Do you have an ideal reader? A particular person who, while writing, you imagine that will be reading your words? HB: The first time I write a book its just for me and the characters. I never think of what the readers might think about this or that beacause its not in my place to write what others might like, I have to write my stories on their own premise, even if I know this scene or this characters opinion or way of acting is not going to be for everyone. So my ideal reader is someone who just let the story take them somewhere, who wants to be there along for the ride. I sometimes push on the walls of the subgenres that my stories touch upon and I want my readers to push with me. I still care deeply about what my readers think about my work. I really want them to like it, so that they too will come and join my litterary cult. GG: There is currently a real fashion that concerns Scandinavian thrillers. In Italy even those written by non-Scandinavian authors are packed with evocative titles and with covers of winter flavor, depicting snow, woods and cliffs. Even the lettering mimics that of the most famous Nordic thrillers. What do you think about this? HB: When everybody or everything is the same, I get bored. I only go for the exceptional and the avantgarde, and leave it to others to fight over the crumbs of mediocrity. − He smiles: − Thats why I enjoy my own company and writings so much! GG: I Will miss you tomorrow is set in Norway, but, thought indirectly, also in Denmark and Iceland. Do you know well these countries? 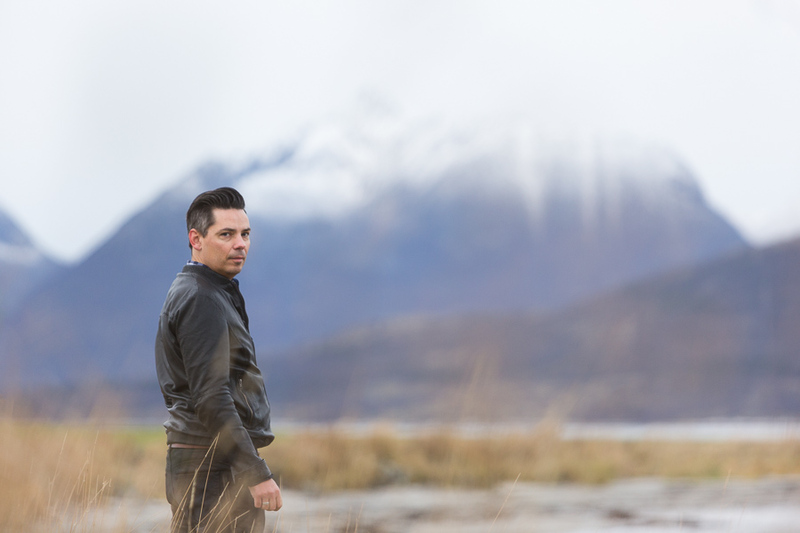 Where will the next adventures of Thorkild Aske take place? Where will your forthcoming novels be set? GG: Are you of the social kind, always with a smartphone in hand, always liking and sharing something in the net, or are you of the old kind, using the phone to talk and writing letters on paper? HB: Well, I think I’m somewhere in between. I certainly like my gadgets, but I had to delete my Facebook page and Twitter accout because It just took to much time. Now I have Instagram, and a web page. I think that should be sufficient. GG: Now I just have to say goodbye, and wish you good luck for your career as a writer, now of international success. HB: Thank you so much! But... don't you finish your beer? What's up? Don't you like it? GG: It's ... It's very good, it's me: I am not a big drinker. Bye! It is the old sailor, the one I saw at the bar. Apparently he has been waiting for me outside. - I say to you: do you want to know more about this story? - If you have a strong stomach, and want to know how things really went down, I can help you. But we must shove off immediately. In a shortwile, the tide... By the way, can you scuba dive? While the old man is still speaking to me, the shadow of a man is approaching. It's Thorkild Aske again, or rather, the man who said to be named such. No, no, no. Not him again. No. I will not be involved in a Scandinavian thriller myself! Characters of a novel... I'd rather read about them than meet them in person! I want to go home, if I can make it. I turn my back to them and walk away, trying to go the more stright that I can. Many thanks to Heine Bakkeid who very kindly played this game with me, and also allowed cameos by some of the characters of his novel. Many thanks also to Berit Ness Johnsen who gave me useful hints to make the setting credible, such that I sometimes believe to have been for real somewhere in Northern Norway. And I have been there, maybe. Today the review of his last book "Meet me in Paradise" roll the dice: 6 out of 6 and say a new Jo Nesbø is born. "Take notice of the name Heine Bakkeid right away. His second crime novel is fascinating nordic noir of high quality."